The minimum deposit at IC Markets is $200. The minimum deposit means that you will first need to transfer this amount to your brokerage account from your bank account in order to start trading. It is sometimes called an initial deposit or funding. Why does IC Markets require a minimum deposit? Online brokers sometimes require a minimum deposit in order to cover their initial costs associated with creating a new account and to ensure their profitability. The higher the amount you deposited, the higher the chance for you to trade more and generate bigger profits for the broker. In some cases, the very high minimum deposit (like the £1 million amount at the VIP account of Saxo Bank) is there to differentiate the level of services they offer you. IC Markets does not charge a deposit fee. This is great because the broker won't deduct anything from your deposits and you only have to calculate with the costs charged by the bank / third-party you send the money with. If you want to know more about IC Markets fees, check out the fee chapter of our IC Markets review. A minor issue with depositing money to IC Markets is that based on our experience it's not user-friendly compared to similar brokers. This means either that the interface is not user-friendly or that figuring out where and how you have to make the transfer is a bit complicated. 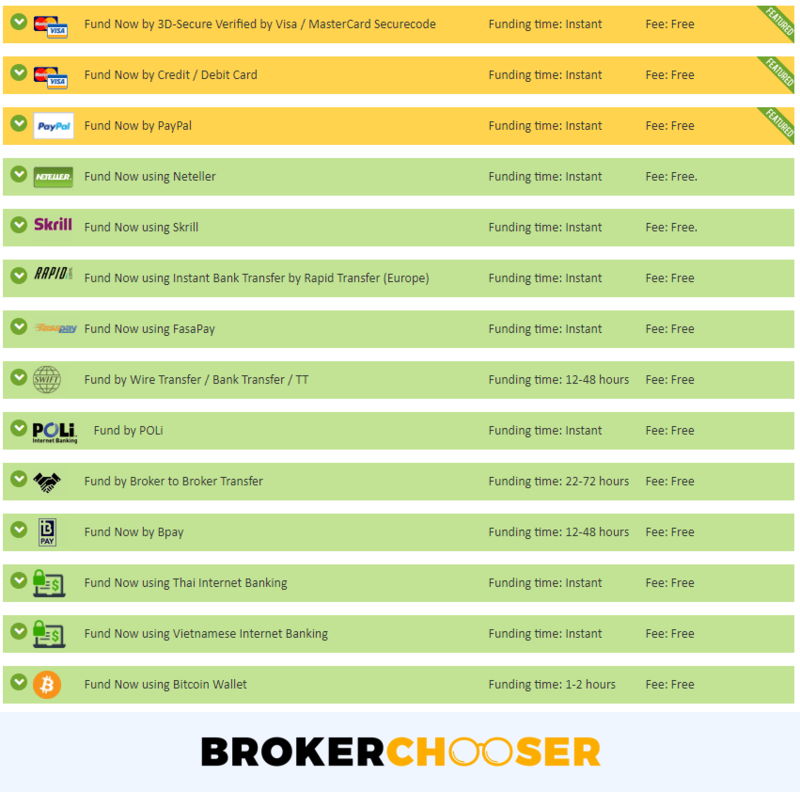 Luckily, IC Markets stands out from the majority of online brokers by supporting not only the main currencies but some smaller ones as well. The benefit of this for you is that IC Markets is very likely to support the currency you want to deposit in and won't have to convert it. The conversion would mean extra costs, as a conversion fee is charged. A convenient way to save on the currency conversion fee if you wish to fund your brokerage account from a currency different from your existing bank account can be to open a multi-currency digital bank account. At Revolut or Transferwise the account opening only takes a few minutes after which you can upload your existing currency into your new account, exchange it in-app at great rates, then deposit it into your brokerage account for free or cheap.